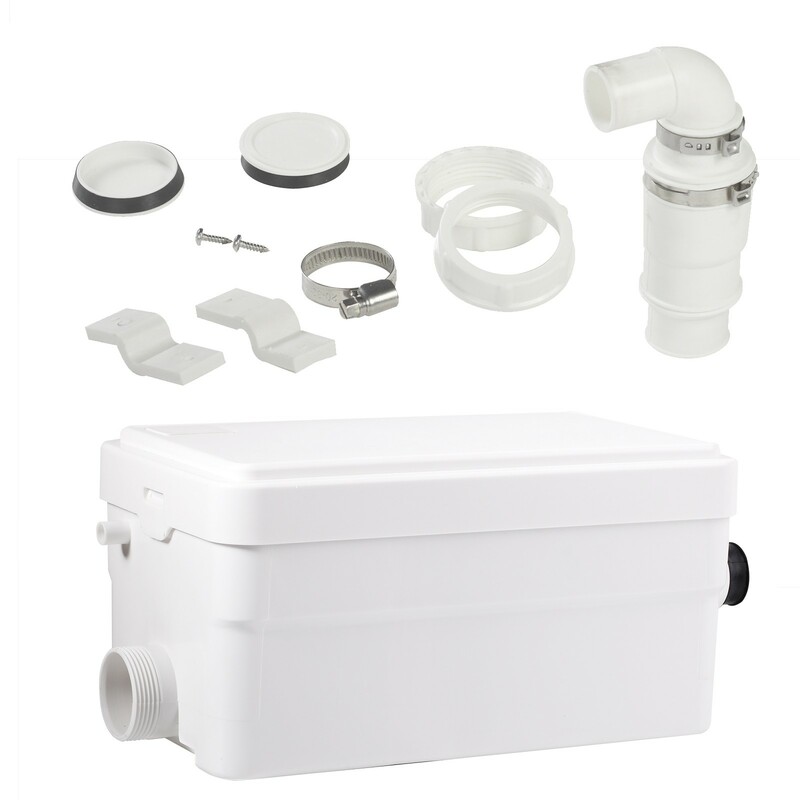 Silent 250W shower waste pump, makes it possible to dispose waste water through a small pipe. 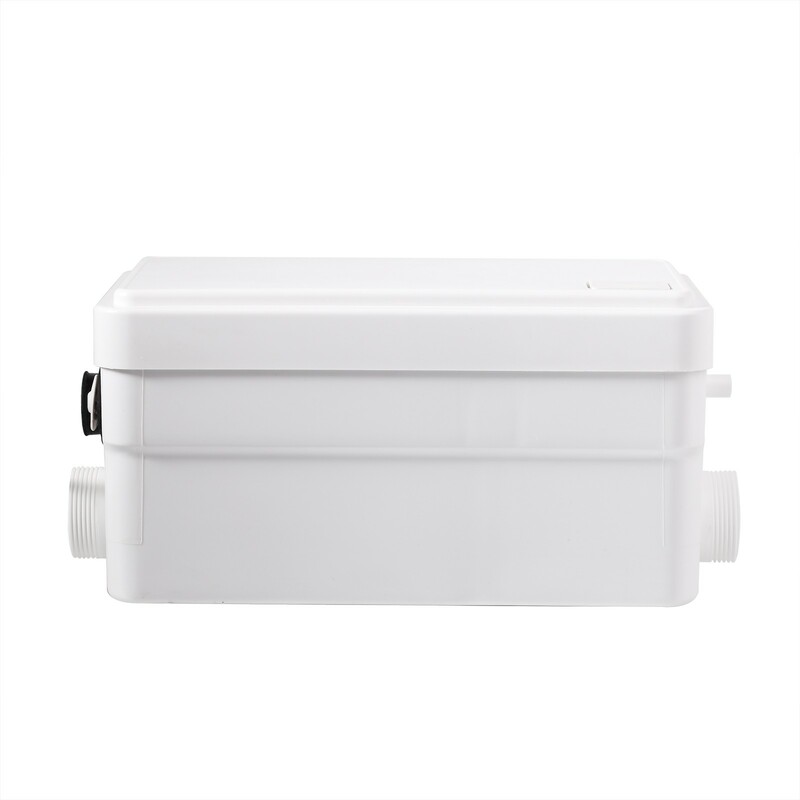 Pump starts automatically when water is entering the unit. Possible to connect up to 2 devices. 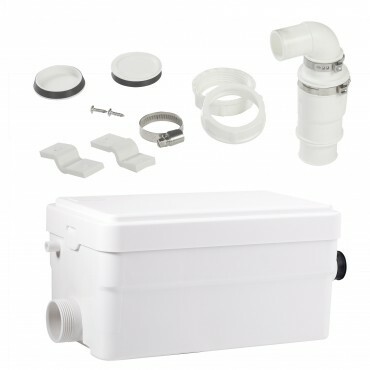 Everything needed to connect this shower pump to existing pipework! small enough to build into a cabinet. The shower pump housing gets filled with wastewater from one of the two inlets. 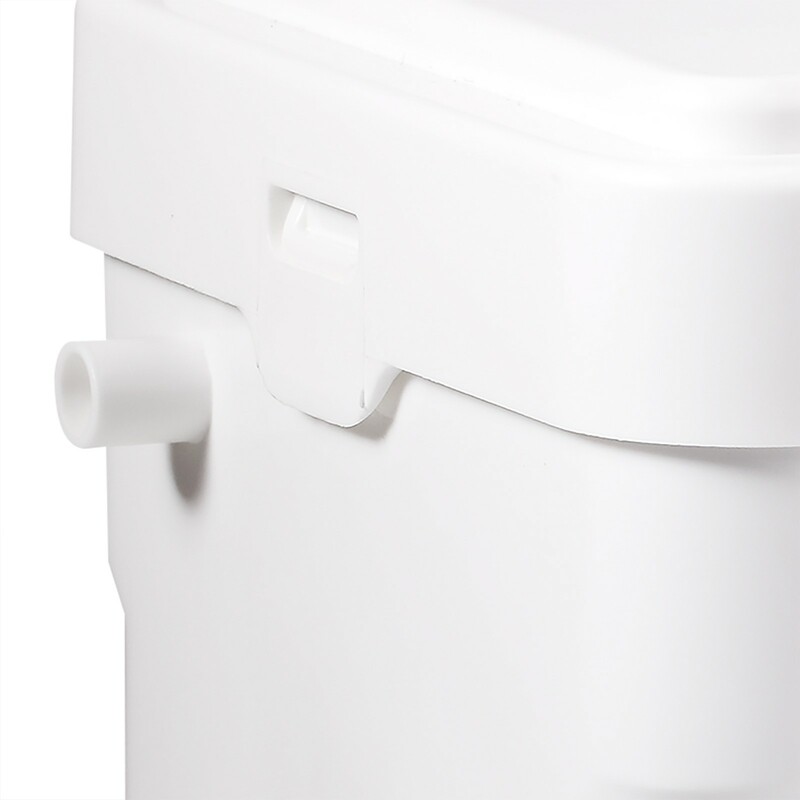 The pump gets automatically activated by the weight of the incoming water. The pump starts and forces the water through the discharge pipe. 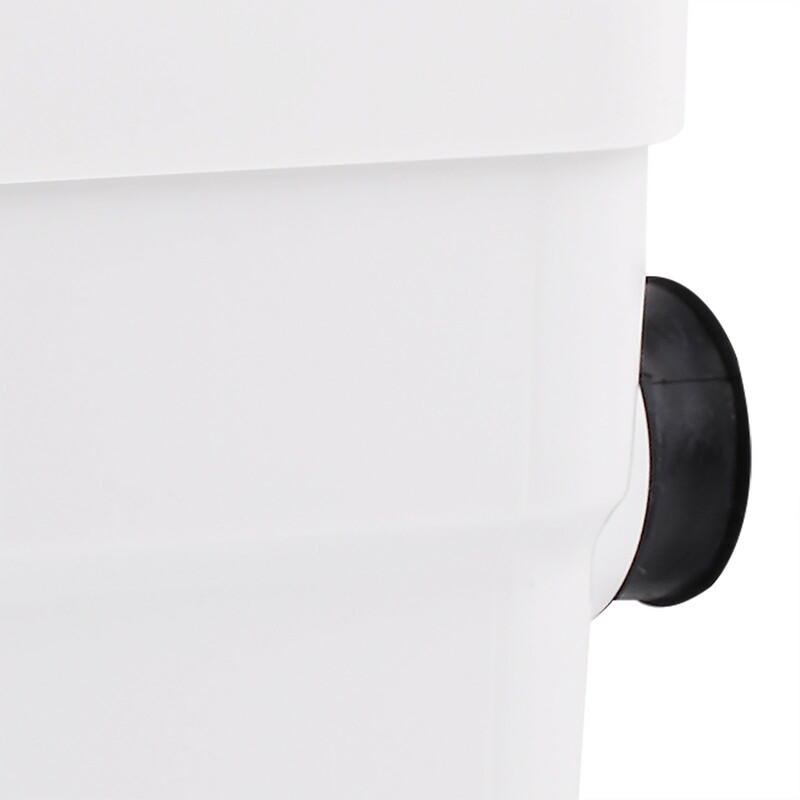 Integrated non-return valves prevent the water from returning back to the pump housing. Super Silent power saving shower pump. More silent through new design. 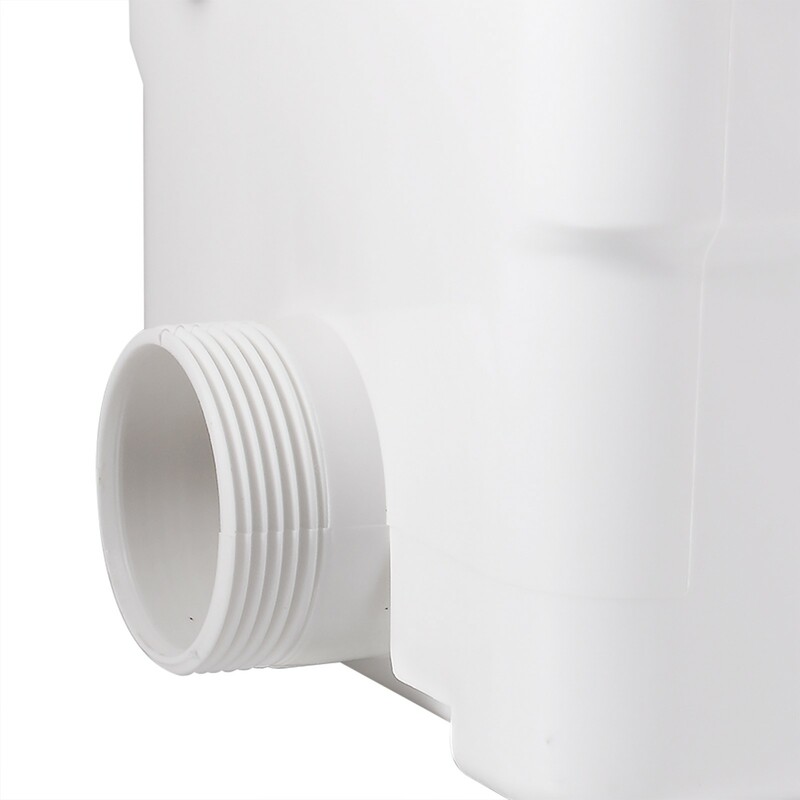 Pumps away the waste water through a 23 or 28 mm pipe. Possible to connect 1 shower and one other sanitary device (sink, bath tub...).